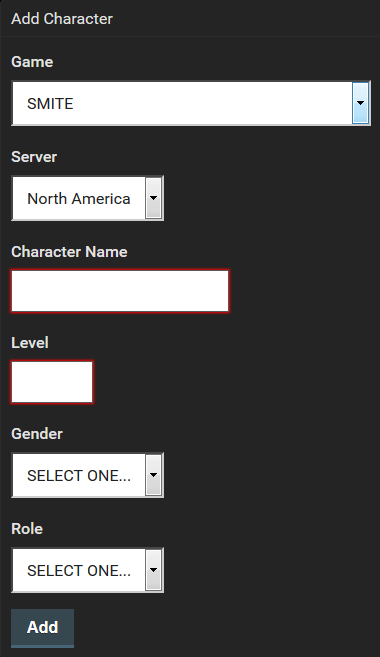 Go to the Character Roster of your site. For most sites, this will be linked right on the primary navigation bar of your site. Click Team Roster -> Character Roster. Click 'Add Character' on the roster. In-game entities in Gamer Launch are referred to as characters in the system, so that it always knows how to parse out-of-game data ("user data") from in-game data ("character data"). Once you've gotten to the character roster of the site, click the Add Character button to add your SMITE username. 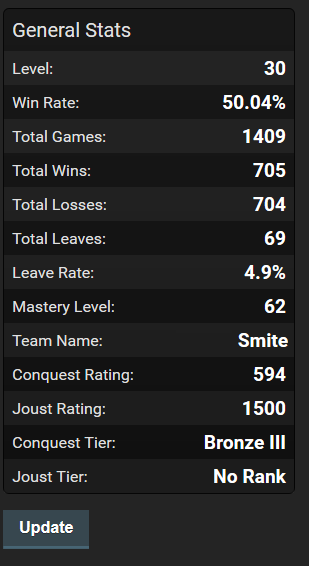 Add your SMITE handle as a 'character' on the roster. Once you've added that, just click the Add button.